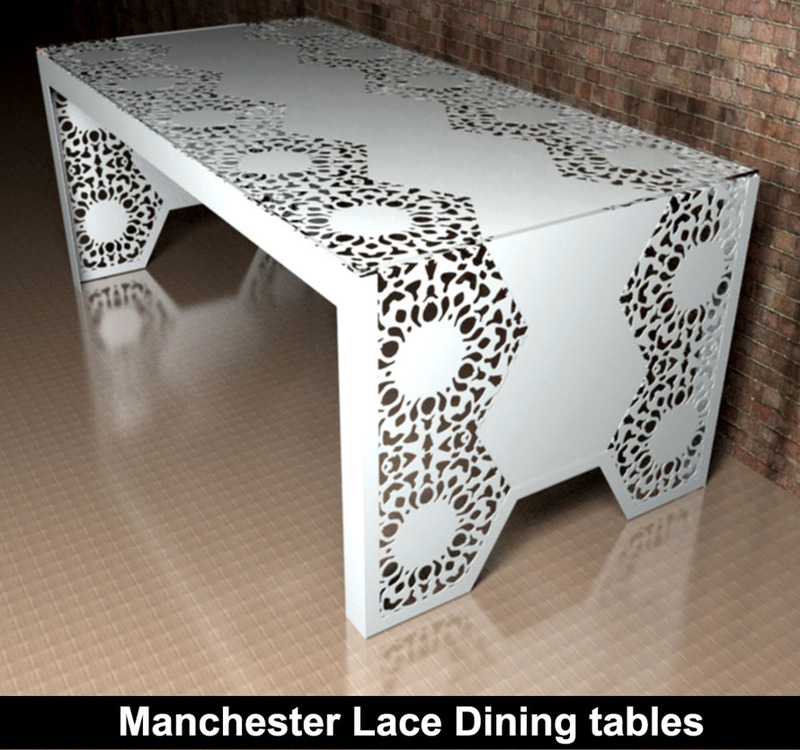 Modern fretwork dining tables and bench seating in perforated metal designs. 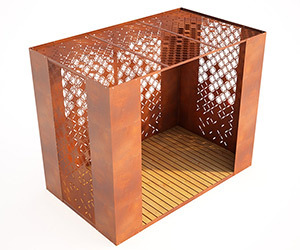 Fantastic as indoor and outdoor tables for any occasion, available in lots of colours and fretwork design styles. 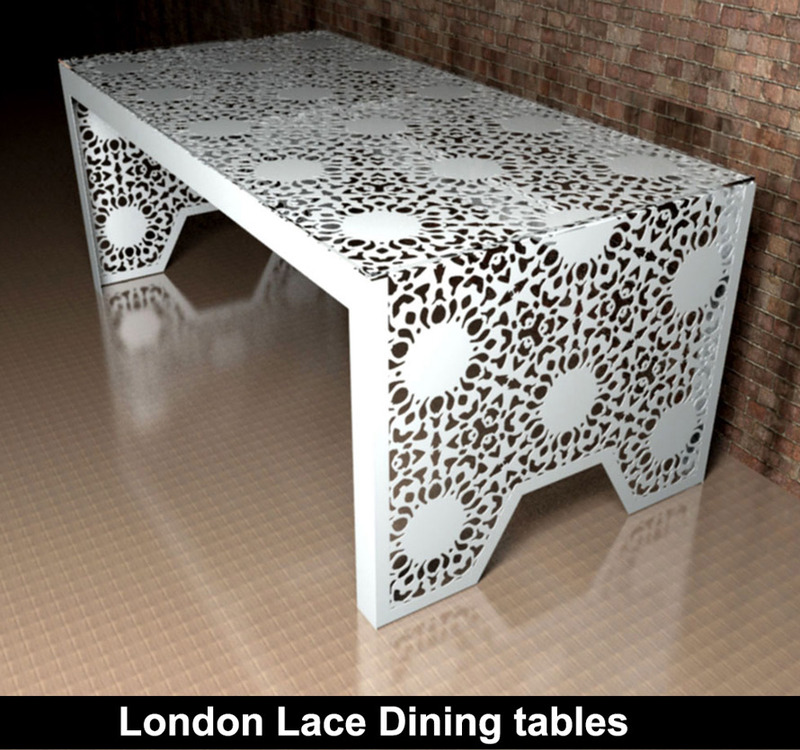 Choose a fretwork pattern for your dining table from the link below. 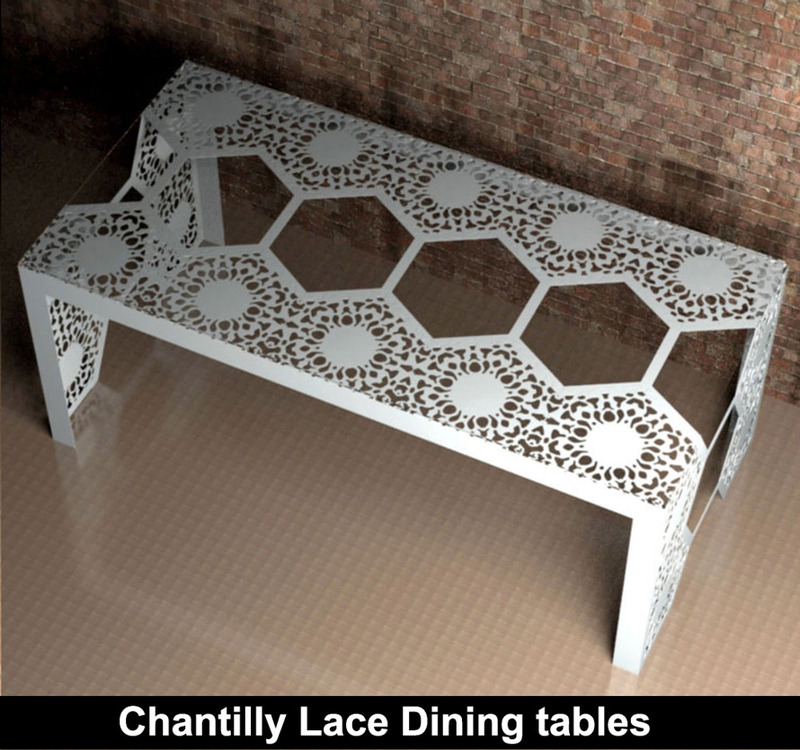 We can create bespoke dining table designs with ease from any of our existing fretwork patterns and design styles. Alternatively contact us with your thoughts and we will translate your ideas into fabulous fretwork furniture individual to you.